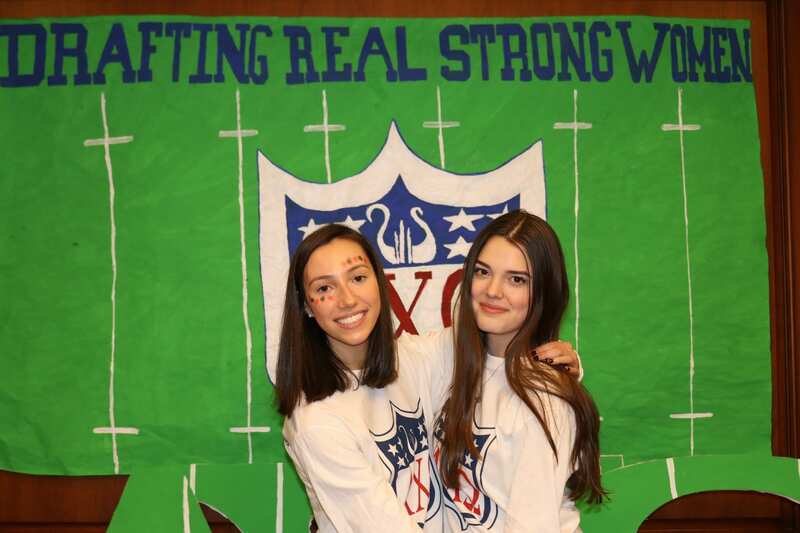 With nearly 40 percent of Northwestern students participating in Greek life on campus, it’s natural to wonder about getting involved. Though Greek life isn’t everyone’s cup of tea, rushing can be a great experience whether you’re on the fence or ready to jump right in. And even if you choose not to join, there are plenty of wonderful alternatives that offer a similar community feel (think residential colleges, athletics, service organizations, etc). At Northwestern, first year students don’t enter recruitment until the beginning of winter quarter. During my fall quarter, I was uncertain about joining a sorority. The entire rush process sounded strenuous and intimidating, and I didn’t know if I’d find the right fit within a chapter. When winter quarter rolled around, I decided that I wanted to join a tight-knit community of women, and so I took the leap into recruitment. Now that the process has ended, I’ve walked away with a houseful of new friends and a handful of tips for anyone thinking about going through rush at Northwestern. Consider testing the waters. If you can’t decide whether or not to rush, it’s important to remember that going through recruitment isn’t binding. The process could lead you to your perfect house, but it could also help you decide that it’s not for you. There’s always the option to exit recruitment at any point in the process, and this isn’t uncommon—plenty of people ultimately choose other paths! Regardless of how you handle the situation, I’ve found that people will respect and support your decision. The most important thing is doing whatever is right for you. You don’t need to have all of the answers coming into the process. When I signed up for sorority rush, I didn’t realize what a valuable resource my recruitment counselor would be. They’re there to support you throughout the process and have answers to every question from what to wear to how to manage your time. It’s okay to be clueless—Panhellenic Association and your counselor will tell you everything you need to know to have the best experience possible. Try not to have preconceived expectations. The sorority that you thought you liked during fall quarter may not be your favorite when rush starts, and your favorite sorority at the start of rush might not be your favorite at the end. Make sure to keep your best interests at heart and be honest with yourself about where you feel comfortable as the days pass. The whole point of recruitment is to get to know the chapters better and find the best fit as the week progresses, so keep an open mind and you might be surprised! It’s not as intimidating as it seems. Everyone you speak to throughout the rush process is human, and is probably just as nervous as you are. If you try to relax and enjoy yourself, you’ll find that rush is actually a great opportunity to meet a lot of interesting women, even if they don’t end up becoming your sisters in the end. You never know what you might learn from these friendly interactions; they could lead you to your next favorite class, an organization that you’d never heard of, or your new TV show obsession. If you really can’t decide, consider informal recruitment. It’s true that formal recruitment involves a few long, chilly days spent moving from house to house (but recruitment counselors have tips for handling it like a pro, I promise). If you’d rather not participate and need a little extra time to make up your mind, many houses also have a Continuous Open Bidding (COB) process that begins after formal recruitment ends. If you rushed and decided to exit before bid night, or simply didn’t rush at all, you can still get to know some sisters in a more casual setting and potentially receive a bid through COB. For me, the rush process was extremely rewarding and brought me a new community of women to share my Northwestern experience with. However, the wonderful thing about Greek life at NU is that it is what you make of it—if you want to live and breathe it, you can. If you’re not into it, there’s no pressure to be, and there are innumerable other fascinating and tight-knit communities to look into joining. If you’re somewhere in the middle, that’s more than okay too – Northwestern is the perfect place to be yourself and build exactly the kind of college experience you’re looking for.